The Museum of Jewish History has organized an exhibition on the families, surnames and people related to the Jewish past of some Catalan cities. These family names constitute an immaterial legacy that goes beyond the physical and monumental legacy that these cities also have. The institutions that worked to recover Jewish historic heritage have generally focused on the material heritage, the physical vestiges that the visitor can be shown, the archaeological or architectural remains. That has at times left the inhabitants of medieval Jewish quarters in the background. When all is said and done, it was they who were responsible for all the material legacy that has survived to the present day. The goal of this exhibition is to present the names of the main Jewish families who were one day part of the country. 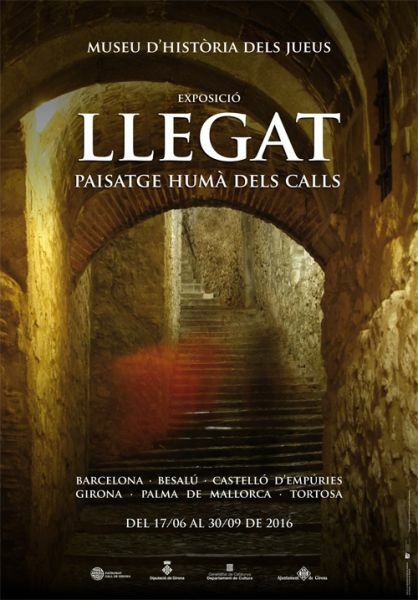 It is based on research conducted on the written documentation about the families linked to some of the most representative medieval calls (Jewish quarters) of Catalonia and the Balearic Islands. Conversion or exile led them on very different paths. We can still trace some of those personal and family itineraries. Other traces remain in the oral memory of some of the families scattered throughout the world after 1492 and also manifest themselves through their surnames, which have been transmitted for generations within Sephardic communities. By taking back their names, we recover their memory.